A travel guide for Norway. Recommendations for the touristic activities, attractions, shopping and restaurants. Accommodation options are also listed. Bergen is a charming city with medieval reminiscences, a busy cultural life and it is surrounded by a breathtaking frame of sea, mountains and fjiords. Maritime trade has always been a distinction mark of Bergen, Norway’s capital. The Hanseatic League, a powerful medieval traders guild of Northern Europe, established here one of their main bases, in the Bryggen neighbourhood. This medieval Hanseatic port area is listed as one of the World Cultural Heritage sites by the UNESCO. The docks area is world famous for its beautiful wooden houses, many of which have been rebuilt after a number of fires, explosions and bombings that stroke this beautiful city several times through the centuries. There are impressive colourful flowers and lush greenery everywhere. This is partly due to the wet weather, with rains and fog most part of the year. Considering Bergen is known as the City of Rain, carrying an umbrella is highly recommended. When visiting Bergen also take warm clothes, since average temperatures in summer are between 10 and 15 ºC, and in winter 0 to 5ºC. Bergen is a small city made for strolling, with small backstreets, beautiful architecture and charm in every nook. It is ideal to wander around the medieval center, especially at sunset or the evening, when the hordes of tourists have returned to their cruisers. The city is located in the western side of Norway, over the Vågen Bay, 500 km away from Oslo and is surrounded by small islands and mountains. From Bergen’s airport, Bergen Flesland, there are regular, comfortable buses that go downtown. They depart every 15 minutes during weekdays or half an hour in the weekends, and the whole itinerary takes around 40 minutes. Another option is to take a taxi. Enjoy breathtaking views from the funicular, stroll along the pintoresque buildings on the docks, mingle in the very lively fish market or savour fine pieces of art in the museums. The most emblematic spot of Bergen is Bryggen. This has been traditionally the heart of the city, given the historic importance of cod trade. Painted in shades of ochre, the buildings now house pubs, restaurants, stores and exclusive art galleries. Up the hill you will find more beautiful wooden houses scattered along narrow and steep cobbled alleyways, called “smau”. Not only the wooden houses but also the open air fish market make this area a must, with a very busy commercial and social life. In this area there are other interesting buildings, specially the Bergenhus fortress, formerly a royal residence, with several halls and and the Rosenkrantz defense tower. Another lovely attraction is the Fløibanen, a funicular that takes you up to mount Fløyen in 10 minutes, from where you can enjoy a wonderful sight of Bergen and the surrounding mountains. The ascent through the lush vegetation is delightful. To come back, walk down through delightful alleys and stone steps. The Bryggen Museum is great to travel back in time and learn about the city’s history. Also, you can relax next to Lille Lungegårdsvannet, an octagonal lake surrounded by green, and then head to the KODE Art Museums –with a fabulous Munch collection-, the Museum of Decorative Arts or the Bergen Fine Art Society, across the street. Another nice museum is the house of composer Edvard Grieg. Other buildings to visit are the impressive wooden neoclassic Damsgård mansion, a rococo piece of art, and St Mary’s Church, one of the oldest in the city. If you are thinking about what to buy, Bergen’s shops offer amazing handcrafts, art, beautiful jewellery, clothes (specially wool) and delicious fish and food. There are several department stores, but also charming streets or areas with small specialized shops. The best shopping spots in Bergen are Øvregaten and Lille Øvregate, Vetrlidsallmenning, Torget and Vågsallmenningen, Strandkaien, Strandgaten, Bryggen, and around the main square, Torgallmenningen. In the fish market you can taste local food, and a nice option for a sunny day is to grab something here and have a picnic in the fortress’ gardens. At sunset, the best spots are the bars and restaurants over the wharf. Try Kafe Kippers, the food is not that great but the views at dusk are perfect. If you are looking for a great and original restaurant for a special occasion, make a reservation at 1877, in Bryggen; the interiors, service and food are fantastic. Another great option is Spisekroken, a more traditional, or Potetkjelleren, very cozy, both in the Vågen district. Downtown (Sentrum) there are many other great places, like Colonialen or Naboen. The atmosphere starts getting vibrant around midnight and until 3am. There are several high end clubs in the Ole Bulls plass area, such as Metro Nightclub, which is definitely the place for a glamorous night, considered one of the best clubs in Scandinavia. In the same area, Ricks is one of best known clubs in Bergen, with a great atmosphere. Bryggen is another cool area with lots of bars, where locals usually hang out in bars such as Sjøboden, with a young atmosphere and live music. There are several trekking routes from Fløyen, including a lake only 15 minutes away from the top. Depending on how fit you are, in one day you can do the 7 Mountains route (35km walk, 2400m altitude), or choose the 4 Mountain route, for beginners. If it’s winter, come down the Fløyen by dog sledge: it is fun, fast and exciting. With a breathtakingly beautiful nature and limitless social and cultural activities, Bergen is the shining star of Norway. Every year, many delegates from all around the world come to this city for remarkable international events like summits, conferences, congresses, tradeshows, fairs and exhibitions. 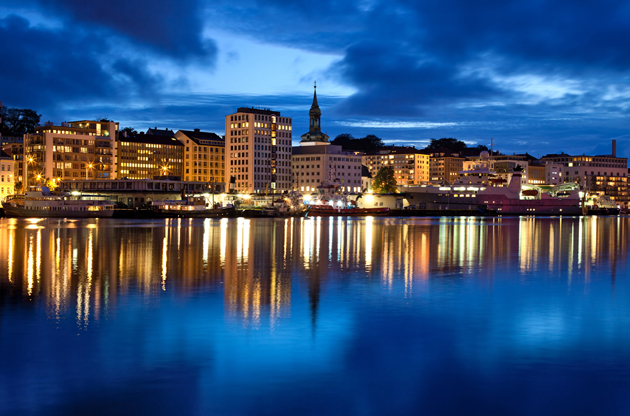 Boasting rewarded as the European City of Culture in 2000, Bergen offers more than a regular business events destination thanks also to its reputable hotels and fully equipped venues.